On Thursday residents in Havana and members of the Cuban community in Miami reacted to the news that the United States government was behind the once-popular social media network ZunZuneo. An investigative report by The Associated Press found that the U.S. government was behind the creation of the "Cuban Twitter" designed to undermine the communist government in Cuba. The social media network was built with secret shell companies and financed through foreign bank transactions. In Cuba, local resident Claudia Garcia said she was not surprised that the U.S. was behind it. "These are political things that I don't have any knowledge of, but for nobody in the world is it a hidden thing that they have always been trying to harm our country and government. It can't be a surprise for us anymore. Coming from them, nothing can be a surprise," she said. The social network lasted for more than two years and drew tens of thousands of subscribers. It gained an audience by offering users a social media platform that would first build a Cuban audience then later push them toward dissent. On Thursday Cubavision ran a story with the findings of The Associated Press investigation. The AP obtained more than 1,000 pages of documents from contractors about the development of ZunZuneo. It independently verified the project's scope and details in the documents through publicly available databases, government sources and interviews with those involved in ZunZuneo. AP's investigation showed the organisation behind this was the US Agency for International Development (USAID), a federal agency best known for overseeing billions of dollars in US humanitarian aid, which also has a mandate to spread democracy. It is unclear whether the scheme was legal under U.S. law, which requires written authorisation of covert action by the president and congressional notification. Officials at USAID would not say who had approved the programme or whether the White House was aware of it. The Cuban government declined a request for comment. At minimum, details uncovered by the AP appear to muddy the U.S. Agency for International Development's longstanding claims that it does not conduct covert actions, and could undermine the agency's mission to deliver aid to the world's poor and vulnerable - an effort that requires the trust and cooperation of foreign governments. The programme came to life after a USAID contractor obtained half-a-million cell phone numbers on the state-owned mobile network - Cubacel. The contractor, Creative Associates International, based in Washington DC, was paid by USAID to hatch a plan to send text messages to Cuban cell phone owners. Initially they sent messages about topics like the weather, soccer and music, to build an audience and so as not to alert the Cuban government. Later they planned to push messages which they hoped would encourage dissent. "These are political things that I don't have any knowledge of, but for nobody in the world is it a hidden thing that they have always been trying to harm our country and government. It can't be a surprise for us anymore. Coming from them, nothing can be a surprise." "I don't know anything about it. I hope it was like that, but I think it's a lie. The United States isn't interested in Cuba. If it's not interested in Venezuela, which is rotting in oil, this is rotten." "Clearly, within the Cuban community they found out that they didn't know where it came from. In the end, we found out that it (ZunZuneo) was a communication created from here, from the US, to give Internet access to the community that didn't have it in Cuba." "What do I think? I think it was a good thing. I hope that it gains momentum so that the people realise what is going on in the outside world and things change also in Cuba." 15. Cubavision newscaster announcing Associated Press's story about the U.S. Government's involvement in the creation of a "Cuban Twitter"
A US official said on Friday that efforts by US government agency, USAID, to create a "twitter-like" network in Cuba was not a covert action. Revelations of a secret US government programme to set up a cellphone-based social network in Cuba are being trumpeted in the island's official media as proof of Havana's repeated allegations that Washington is waging a "cyber-war" to try to stir up unrest. "USAID kept the White House apprised of its efforts consistent with the way that they have other programmes of this kind elsewhere in the world," said White House spokesman Josh Earnest. He also noted that the President and First Lady offered their condolences to the family of AP prize-winning photographer Anja Niedringhaus who was killed on Friday after an Afghan police commander opened fire on her and veteran correspondent Kathy Gannon, who was wounded in the attack. At the State Department daily briefing, deputy spokesperson Marie Harf also mentioned the two AP journalists. When asked about Russian troops in Ukraine, Harf said there had been no independent confirmation of any withdrawal of Russian forces from Crimea and the border region. "Jim, there's no question that the President and his administration support efforts to help Cuban citizens communicate more easily with one another and with the outside world. Our involvement would have been the same in this instance as with any other development programme of this type. USAID kept the White House apprised of its efforts consistent with the way that they have other programmes of this kind elsewhere in the world." "The thoughts and prayers of the First Lady and the President go out to the family of Anja Niedringhaus who was killed in Afghanistan overnight. The President and First Lady also send their best wishes and their prayers to Kathy Gannon, who was an AP reporter who was wounded in that incident." "Today the Associated Press lost one of its own. Anja Niedringhaus, an internationally acclaimed, Pulitzer Prize winning German photographer. She was shot in Afghanistan's Khost province. A second Canadian journalist who worked for the AP kathy Gannon was also wounded." "That's there's still, you know, tens of thousands on the border with Ukraine. We cannot, last I heard, last I checked with our folks, independently confirm that there had been some troops moved off of it. Obviously we hope they will. But, no update on that." Cuba said Wednesday it has launched a probe into how hundreds of thousands of customer mobile phone numbers fell into the hands of a U.S. government programme that used them to secretly set up a mobile-based, Twitter-like social network on the island. An Associated Press investigation revealed last week that the US Agency for International Development programme (USAID) used the data to build a subscriber base for the platform, dubbed ZunZuneo, with the idea that it could be used to stir unrest. Cuba considers such USAID programmes to be subversive attempts to topple its Communist-run government. Officials told reporters that state telecom company ETECSA had not provided the data to any international operator or entity, and the information was obtained illegally. "ETECSA wanted to stress in the statement that its user database has not been released to any operator for privacy issues, nor to an agency or to anyone other than within the company itself," said Daniel Ramos, head of security operations for ETECSA. He did not give details on the probe's progress or any measures that may be taken. "We condemn the use of this database, which the company did not agree to. And of course, we do not know how this database could have fallen into the hands of the ZunZuneo platform and others already mentioned," he said. Ramos said ETECSA detected bulk messages being sent through ZunZuneo starting in September 2009 during a mass concert by Colombian singer Juanes, and again in early 2010. The company complained to 200 operators that had messaging agreements with ETECSA, and threatened to sever relationships if it continued. Nonetheless ZunZuneo continued to operate until 2012 and built a base of tens of thousands of users before abruptly disappearing. And until the recent AP investigation, ETECSA had no idea the messages were anything other than unwanted spam, ETECSA officials said. Some lawmakers in Washington have expressed support for ZunZuneo since AP's original disclosure. At a House Foreign Affairs hearing on Wednesday, congresswoman Ileana Ros-Lehtinen, a Republican, said the network was a US-led democracy effort in Cuba which was "transparent" and "one of the most scrutinised programmes in our foreign aid portfolio." "Contrary to what the media have reported, democracy programmes for Cuba are transparent. They are open. The Cuba Democracy programme with its 20-million-dollar price tag, in fact is one of the most scrutinised programmes in our foreign aid portfolio. The real question here is why does the press and some in our congressional family demonise these programmes?" "ETECSA (Cuba's state-owned telecom company) wanted to stress in the statement that its user database has not been released to any operator for privacy issues, nor to an agency or to anyone other than within the company itself. We condemn the use of this database, which the company did not agree to. And of course, we do not know how this database could have fallen into the hands of the ZunZuneo platform and others already mentioned." "the text messaging service is very cheap, insignificant. We even have agreements with operators where the text messaging service is not charged, so I do not see how that money could have been able to reach ETECSA." "ETECSA continues to develop its services, but this depends on the level of investments that we make from the economic point of view. And of course, our goal is to prevent anyone from inventing a service for our users. The idea is that the company provides all the possible services to prevent these things from happening." AS HECTOR BARANDA WALKS THE CUBAN BEACH HE CALLS 'PARADISE', HE OFTEN THINKS WITH REGRET ABOUT SOME FOREIGN VISITORS HE MET IN COLLEGE - ONES HE THOUGHT WERE HIS FRIENDS. "We used to go to this or that restaurant at night, let's go here, let's go there. Let's go sit in the park, let's go to a piano bar, that was it. BUT WHAT BARANDA DIDN'T KNOW - WAS THE YOUNG VENEZUELANS WERE PART OF A SECRET U.S. GOVERNMENT PLAN TO RECRUIT POLITICAL ACTIVISTS IN THE COMMUNIST COUNTRY. "How would you feel if you gave sincere friendship and get this type of news - I have never liked being manipulated"
DOCUMENTS OBTAINED BY THE ASSOCIATED PRESS REVEAL THE PLAN WAS SPEARHEADED BY THE U-S AGENCY FOR INTERNATIONAL DEVELOPMENT. USAID IS BEST KNOWN FOR OVERSEEING BILLIONS OF DOLLARS OF AID TO THE WORLD'S POOR AND SICK. PART OF ITS MANDATE IS TO PROMOTE DEMOCRACY. A US-A-I-D CONTRACTOR CALLED CREATIVE ASSOCIATES RECRUITED YOUNG PEOPLE FROM 3 LATIN AMERICA COUNTRIES. THOSE RECRUITS WERE TO HEAD TO CUBA TO FIND YOUNG PEOPLE WHO MIGHT BECOME ACTIVISTS AGAINST THE REGIME OF RAUL AND FIDEL CASTRO. THE MAIN RECRUIT FROM COSTA RICA WAS FERNANDO MURILLO SEEN HERE ON THE LEFT - HE REFUSED TO BE INTERVIEWED ON CAMERA. AS PART OF MURILLO'S WORK - AN HIV PREVENTION CLINIC WAS STAGED AT THIS SCHOOL. IT WAS A COVER TO REACH OUT TO STUDENTS WITHOUT DRAWING SUSPICION OF THE CUBAN AUTHORITIES. USAID SAID "CUBANS HAD EXPRESSED A DESIRE FOR INFORMATION AND TRAINING ABOUT HIV PREVENTION." MANUEL BARBOSA INITIALLY WORKED WITH MURILLO'S GROUP - BUT LATER REALIZED WHO THEY ACTUALLY WERE. "When I look at the sponsors I see one of them is USAID and I said to him my activities cannot be associated with this person, with this group of people, and I do not wish to have association with USAID because it will bring me trouble in Cuba." THEY STAYED AT A UNIVERSITY DORM, JUST OUTSIDE THE TOWN OF SANTA CLARA - AND TARGETED YOUNG PEOPLE AND MEMBERS OF THE GAY COMMUNITY. AS PART OF THE US-AID PLAN, RECRUITS WERE TAUGHT A SYSTEM OF CODED LANGUAGE IN CASE THEY RAN INTO TROUBLE. USAID and the Obama Administration are committed to supporting the Cuban people's desire to freely determine their own future. USAID works with independent youth groups in Cuba on community service projects, public health, the arts and other opportunities to engage publicly, consistent with democracy programs worldwide. THE DOCUMENTS REVEAL THIS PLAN WAS PART OF A BIGGER PROGRAM - WHICH INCLUDED THE CREATION OF A CUBA TWITTER LIKE SOCIAL MEDIA NETWORK - CALLED ZUNZUNEO - FIRST REPORTED BY THE AP IN APRIL. SOUNDBITE: (English) Sen. Jeff Flake, (R ) Arizona: "When we learn the details of some of these programs, they are not only a great waste of money, but they compromise our missions elsewhere in the world." SOUNDBITE: (English) Sen. Jeff Flake, (R ) Arizona: "We have become even more brazen, or callous frankly -in the way we have gone about trying to affect policy there." "I am very shocked by the news you are giving me - because they were our friends." FRIENDS HECTOR BARANDA DIDN'T KNOW WERE FAKE, UNTIL INFORMED RECENTLY BY THE ASSOCIATED PRESS. 2. Baranda talking to AP repoter near his home. "We used to go to a this or that restaurant at night, let's go here, let's go there. Let's go sit in the park, let's go to a piano bar. That was it." "How would you feel if you gave sincere friendship and get this type of news? I have never liked being manipulated." 7. Various exterior shots of USAID headquarters in Washington, D.C.
9. A Palestinian pupil walks past sacks of flour donated by USAID. 11. Graphic Map showing Peru, Costa Rica, Venezuela in relation to Cuba and the United States. 19. Graphic reading: "Cubans had expressed a desire for information and training about HIV prevention." "When I look at the sponsors, I see one of them is USAID and I said to him my activities cannot be associated with this person, with this group of people. I do not wish to have any association with USAID because it will bring me trouble in Cuba"
27. Graphic statement from USAID reading translations for coded language, including: "I have a headache" means "We suspect we are being monitored" and "Return home sooner, your sister is ill" means "Cut the trip short and leave." 29. Graphic statement from USAID Reading: USAID and the Obama Administration are committed to supporting the Cuban people's desire to freely determine their own future. USAID works with independent youth groups in Cuba on community service projects, public health, the arts and other opportunities to engage publicly, consistent with democracy programs worldwide. 32. Tight of Flake working in his office. 33. Wide of US Capitol building. A key US Senator criticised during a hearing on Tuesday a Twitter-like social media network secretly created by the United States in Cuba, calling it a "cockamamie idea". Democratic senator Patrick Leahy, who is also the chairman of a Senate panel that oversees the US Agency for International Development (USAID), demanded to know who came up with the idea to launch the project. USAID administrator Rajiv Shah said he did not specifically know whose idea it was. A key question for the hearings is whether the program endangered its users by concealing that the US government was behind it. The network was publicly launched shortly after the 2009 arrest in Cuba of American contractor Alan Gross. He was imprisoned there after travelling repeatedly on a separate, clandestine USAID mission to expand Cuban Internet access using sensitive technology that only governments use. "While we debate what USAID is doing in Cuba, US citizen Alan Gross remains in solitary confinement in his fifth year in capacity, solely because he was carrying out a USAID program which was dumb in its inception," Leahy said. He also added that the program had "no possibility of working" from its inception. An AP investigation last week found the program evaded Cuba's Internet restrictions by creating a text-messaging service that could be used to organise political demonstrations. It drew tens of thousands of subscribers who were unaware it was backed by the Obama administration. Draft messages produced by the social network, obtained by AP, were overtly political and some taunted the ruling Castro family. The new disclosures came as the head of the USAID told Congress on Tuesday that the program was never intended to stir unrest within Cuba's government. "While we debate what USAID is doing in Cuba, US citizen Alan Gross remains in solitary confinement in his fifth year in capacity, solely because he was carrying out a USAID program which was dumb in its inception." "The program was designed in 2007 and 2008, at that time frame. That said the legislation that crafts the purpose of the program." "No, whose idea was it for this specific program? I've read the legislation. The legislation doesn't say anything about setting up a cockamamie idea in Cuba with Twitter accounts and all and something that the Cubans would be so easy to discover. Whose idea was this specific program to go to Cuba? Who? It's a simple question. "Sir, the program was in place before I arrived." "But do you know whose idea it was? I know it was in place before and I said that before in my opening statement before you arrived but do you know whose idea it was? "Well first let me say and I know this is important sir and I greatly respect your point of view but that AP (Associated Press) story had a number of critical inaccuracies. "I've read USAID's statement and I'll put that in the record, I'll tell you what, I'll put it in the record, both your response to the AP story and the AP story. Having said that, do you know whose idea it was? "I do not specifically, but I'll say this. Working on creating platforms to improve communication in Cuba and in many other parts of the world is a core part of what USAID has done for some time and continues to do. Our administration's policy is to continue to support efforts to allow for open communications. To the extent that the AP story and any other comment creates the impression that this effort or any other goes beyond that for other ulterior purposes. That is simply inaccurate." "Was it a covert program? "They don't always work and I'll be the first to admit that, but often they do." "This one from the get go had no possibility of working. That's my problem." EN LAS CALLES DE LA HABANA, LA GENTE A�N HABLA SOBRE ZUNZUNEO, UNA RED SOCIAL QUE EN ALG�N MOMENTO FUE MUY POPULAR. LOS CUBANOS LE LLAMAN ZUNZ�N AL COLIBRi O ZUMBADOR, Y LA PALABRA ZUNZUNEO ES EL SONIDO QUE EMITE ESTA AVE Y QUE EVOCABA LA IMAGEN DE TWITTER. MILES LLEGARON A USAR ESTA RED EN SUS TELeFONOS CELULARES. "Era un servicio muy noble. O sea, te inscribias en la pagina, podias escribir 140 caracteres, le dabas enviar y era libre de costo". PERO LOS USUARIOS NO SABiAN QUE ZUNZUNEO ERA PARTE DE UN PLAN DISEnADO PARA SOCAVAR AL GOBIERNO COMUNISTA DE CUBA. UNA INVESTIGACIoN DE THE ASSOCIATED PRESS DESCUBRIo QUE EL PROYECTO FUE CREADO POR LA AGENCIA DE ESTADOS UNIDOS PARA EL DESARROLLO INTERNACIONAL, CONOCIDA POR SUS SIGLAS EN INGLES COMO USAID. ESTA ENTIDAD FEDERAL GESTIONA FONDOS PARA PROGRAMAS DE ASISTENCIA HUMANITARIA; TAMBIeN SE DEDICA A PROMOVER LA DEMOCRACIA. EL PLAN SECRETO FUE ENCABEZADO POR ESTE FUNCIONARIO DE LA AGENCIA USAID LLAMADO JOE MCSPEDON, QUIEN SE REHUSo A HABLAR CON LA AP. NAT - Reporter: Was this a covert operation?" UN VOCERO DE LA AGENCIA LE DIJO A LA AP, QUE "NO HAY NADA EN LOS PROGRAMAS DE USAID EN CUBA QUE SEA SECRETO O CLASIFICADO DE MANERA ALGUNA. SIMPLEMENTE, REALIZAMOS ACTIVIDADES DE UNA MANERA DISCRETA PARA GARANTIZAR LA MAYOR SEGURIDAD POSIBLE DE TODOS LOS INVOLUCRADOS". EL PROGRAMA DESPEGo DESPUeS DE QUE UNA EMPRESA CONTRATISTA DE LA AGENCIA USAID CONSIGUIo MEDIO MILLoN DE N�MEROS DE TELeFONOS MoVILES DE LA EMPRESA ESTATAL TELEFoNICA CUBANA. LA EMPRESA CREATIVE SERVICES, CON SEDE EN WASHINGTON, FUE CONTRATADA POR LA AGENCIA USAID PARA DISEnAR UN PLAN QUE MANDARA MENSAJES DE TEXTO A LOS PORTADORES DE LOS N�MEROS OBTENIDOS. AL PRINCIPIO, LOS USUARIOS RECIBIERON MENSAJES SOBRE NOTICIAS DE HURACANES, FUTBOL Y MUSICA- CONTENIDO QUE NO ALERTARA AL GOBIERNO CUBANO. EL PLAN ERA LOGRAR UNA AMPLIA AUNDIENCIA Y DESPUES ENVIAR MENSAJES DE CONTENIDO POLITICO PARA INSPIRAR A LOS DISIDENTES A PROVOCAR MANIFESTACIONES. UN DOCUMENTO DE USAID DICE QUE EL PROPOSITO ERA "RENEGOCIAR EL EQUILIBRO DE PODER ENTRE EL ESTADO Y LA SOCIEDAD". "NO HABRA ABSOLUTAMENTE NINGUNA MENCION DE LA PARTICIPACION DEL GOBIERNO DE ESTADOS UNIDOS", DICE UN DOCUMENTO OBTENIDO POR LA AP. "No querian que nadie se enterara de lo que hacian". FULTON ARMSTRONG TRABAJABA PARA LA COMISIoN DE RELACIONES EXTERIORES DEL SENADO ESTADOUNIDENSE EN ESE ENTONCES. El DIJO QUE ANTES DE QUE ZUNZUNEO FUERA LANZADO, HUBO TENSIONES ENTRE EL CONGRESO Y USAID PORQUE HABiAN ACTIVIDADES QUE PARECiAN CLANDESTINAS. "Se nos dijo que no se nos podia informar ni siquiera en terminos generales sobre lo que sucedia porque, cito, 'moriria gente'". LA AGENCIA USAID DIJO EN UN COMUNICADO QUE ESTa "ORGULLOSA DE SU LABOR EN CUBA QUE PROVEE ASISTENCIA HUMANITARIA BaSICA, PROMUEVE LOS DERECHOS HUMANOS Y LIBERTADES FUNDAMENTALES, Y AYUDA A QUE LA INFORMACIoN FLUYA MaS LIBREMENTE HACIA LA POBLACIoN CUBANA", QUE DIJO, HA VIVIDO BAJO UN "REGIMEN AUTORITARIO" DURANTE 50 AnOS. LA AGENCIA DIJO QUE SU LABOR SE HIZO EN CONCORDANCIA CON LAS LEYES ESTADOUNIDENSES. 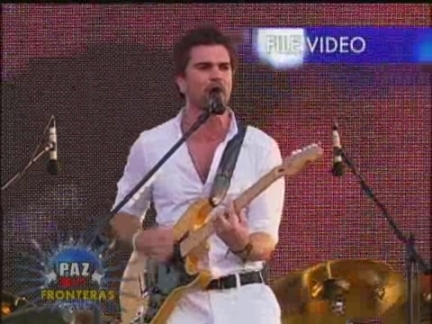 LA PRIMERA OPORTUNIDAD PARA PROBAR EL PODER DE ZUNZUNEO SE PRESENTo EN SEPTIEMBRE DE 2009, CUANDO MILES DE JoVENES SE REUNIERON EN LA PLAZA DE LA REVOLUCIoN DE LA HABANA PARA VER EL CONCIERTO DEL CANTANTE JUANES. SEMANAS ANTES, ZUNZUNEO ENVIo MEDIO MILLoN DE MENSAJES PARA VER CUaL SERiA LA REACCIoN DEL GOBIERNO. EMPRESAS FACHADA, FINANCIADAS CON DINEROS DEPOSITADOS EN CUENTAS DE UN BANCO EN LAS ISLAS CAIMaN, FUERON CREADAS PARA DIFICULTAR EL RASTREO DE LOS MENSAJES. EL PLAN NUNCA LLEGo AL PUNTO DE MANDAR MENSAJES PARA INCITAR A LOS USUARIOS A EXPRESAR DESACUERDO CON EL GOBIERNO. EN 2012, EL SERVICIO DEJo DE FUNCIONAR CUANDO LOS FONDOS SE ACABARON, SEG�N USAID. "!Contra! Tanto tiempo estuve en Zunzuneo y nunca me di cuenta de lo que era realmente". POCOS SUPIERON CUaL ERA EL VERDADERO PROPoSITO DE ZUNZENEO. LA RED SOCIAL SE ESFUMo CON EL MISMO MISTERIO CON EL QUE HABiA APARECIDO. The White House is denying that a program by USAID to set up a "twitter-like" service in Cuba is a covert program. At the White House daily briefing, Jay Carney said the program run by USAID was a development program designed to help foster democracy in Cuba. He indicated that the budget for the program had been examined by the General Accounting Office and found to be within guidelines for "development" projects. Carney says the President does support efforts to expand communications in Cuba. "We've seen the story by the AP this morning. The program referred to by the Associated Press was a development program, run by the United States Agency for International Development. And that program was completed in 2012. As you know, USAID is a development agency, not an intelligence agency. Suggestions that this was a covert program are wrong. Congress funds democracy programming for Cuba to help empower Cubans to access more information and to strengthen civil society. This appropriations are public, unlike covert action. The money invested has been debated in Congress. In addition, GAO reviewed this program in detail in 2013 and found that it was conducted in accordance with US law and under appropriate oversight controls. In implementing programs in non-permissive environments, of course the government has taken steps to be discrete. That's how you protect the practitioners and the public. This is not unique to Cuba. More details about the program are available at USAID, and I think that veterans of this briefing room know that when I say a program like this is not covert, and then I talk about it, that's how you know it's not covert." Carney also aid the President does support efforts to expand communications in Cuba. Reacciones sobre la investigacion de AP que revelo que EEUU creo un "Twitter" secreto para incitar cambio politico en Cuba. Habitantes en la Habana y de la comunidad cubana en Miami reaccionaron este jueves sobre la noticia de que el gobierno de Estados Unidos estaba detras de la creacion de la red social ZunZuneo. Una investigacion de The Associated Press descubrio que Estados Unidos impulso la creacion de esta red social destinada a provocar cambio politico en la isla. "Para nada, para nadie en el mundo entero� es una cosa oculta de que siempre han estado intentado hacernos dano, al gobierno y esas cosas. Nada nos podria sorprender. De parte de ellos nada nos podria sorprender". El proyecto ZunZuneo nacio y se gestiono a traves de empresas pantalla y servidores informaticos en tres paises pagados desde las Islas Caiman. "Dentro de la poblacion cubana se dieron cuenta de que aquello no sabian de donde provenia. Al final nos dimos cuenta que eso habia sido un medio creado desde aqui, desde los Estados Unidos, para darle acceso a la comunicacion a aquellas personas que no tiene internet en Cuba". La USAID y sus contratistas hicieron un esfuerzo significativo para ocultar los lazos que el proyecto tenia con Washington, seg�n entrevistas y mas de 1.000 paginas de documentos obtenidos por la AP sobre el desarrollo de esta iniciativa. En su mejor momento, ZunZuneo, el llamado Twitter cubano, llego a tener 40.000 suscriptores en la isla. La red social inicio en 2009 despues de conseguir medio millon de telefonos de la isla gracias a una fuente vinculada a la telefonica estatal Cubacel. El proyecto recopilo informacion demografica de cubanos sin su consentimiento y los puso en riesgo potencial frente al regimen cubano y su censura de la Internet. Este jueves, la television cubana emitio la historia con la investigacion de AP. The Senate Foreign Relations Committee asked the U.S. Agency for International Development on Thursday to turn over all its records about the Obama administration's Twitter-like social media program it secretly built in Cuba. The request included all copies of any messages that the U.S. government or its contractors transmitted to subscribers in Cuba, who never were told about Washington's role in the primitive, text message-based network that was meant to undermine Cuba's communist government. Congressional hearings this week scrutinized the Obama administration's social media program, known as ZunZuneo when it publicly launched in 2010, and whether USAID should be running such an intelligence-like operation instead of spy outfits like the CIA. "USAID programs are as of notified designed to promote open accessed information, facilitate communication," said Rajiv Shah, USAID administrator. "Any programs that have further purposes are not implemented by USAID but rather by other parts of the state department or the national endowment for democracy." Menendez, who made the request without a committee vote, said the review will consider whether USAID's pro-democracy programs in Cuba were consistent with those run in other foreign countries, and whether USAID should operate what it has since acknowledged was a "discreet" program. Menendez said earlier Thursday that USAID's Cuban program was not "in any way a cockamamie idea." His comments took direct aim at Sen. Patrick Leahy, D-Vt., who earlier this week criticized the USAID program in similar terms _ marking a rare departure from the Senate's staid tradition of decorum among lawmakers. "It is dumb, dumb and even dumber to go ahead and suggest that there can be freedom, and we should seek Internet freedom globally, but somehow the people of Cuba don't deserve the same freedom," Menendez said. Leahy last week called the secret program "dumb, dumb, dumb." "I think it is dumb, dumb, and even dumber to go ahead and suggest that there can be freedom and we should seek freedom of international access and freedom of expression globally but that somehow the people of Cuba don't deserve the same freedom." "The other argument I've heard is that this is a covert program but in fact this program was reviewed by the general accounting office right." VOICE UP Rajiv Shah, USAID administrator; "Correct"
"And they made no suggestions for changes. They had no criticisms of how the money was being administered. "They actually complimented USAID on improvement management oversight of the program. "There was no intelligence program, there was no spying on the Cuban government used in this program"
VOICE UP Rajiv Shah, USAID administrator; "no"
"USAID programs are as of notified designed to promote open accessed information, facilitate communication. Any programs that have further purposes are not implemented by USAID but rather by other parts of the state department or the national endowment for democracy." "specifically with this one I do have issues. Not with the fact that we have programs like this going but the fact that they're conducted by USAID." Latin pop singer Juanes considered canceling a Sept. 20 concert in Cuba because he received what he felt were threatening messages on his Twitter account, according to a police report. NB. THIS IS A VOICEOVER TRANSCRIPT, NOT A FULL SHOT LIST. 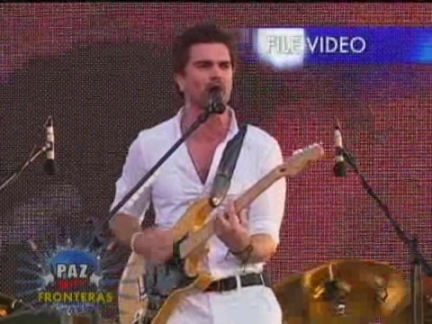 Latin singing star Juanes says he fears for his safety as well as his family. That's according to a police report he filed in Key Biscayne, Florida, where he lives. And it's all over a concert he has planned for next month. It's in Cuba -- and that has led to threatening messages on Juanes' Twitter account. He says one message read "I hate what you are saying but you will die for defending your right to say it." Some Cuban-Americans in Miami have criticized the event, saying that it endorses the Communist-led government of Fidel and Raul Castro. But Juanes -- a 17-time Latin Grammy winner, who is from Colombia, is known for his social activism. In 2008, he held a "Peace Without Borders" concert at the border between Venezuela and Colombia when tensions were high between the two nations. The show drew tens of thousands of people. Police say they're taking the threats seriously and keeping a watch on Juanes. Event promoters insist the Havana concert will have no ideological overtones. Juanes admits he considered canceling the show -- but his spokesman says the show will go on. He attributes the negative comments to a small number of extremists. The Associated Press has learned the U.S. government masterminded the creation of a "Cuban Twitter" - a communications network designed to undermine the communist government in Cuba, built with secret shell companies and financed through foreign bank transactions,. The project, which lasted more than two years and drew tens of thousands of subscribers, sought to evade Cuba's stranglehold on the Internet with a primitive social media platform that would first build a Cuban audience then later push them toward dissent. Yet its users were neither aware it was created by a U.S. agency with ties to the State Department, nor that American contractors were gathering personal data about them. It is unclear whether the scheme was legal under U.S. law which requires written authorization of covert action by the president and congressional notification .Officials at USAID would not say who had approved the program or whether the White House was aware of it. At minimum, details uncovered by the AP appear to contradict the U.S. Agency for International Development's longstanding claims that it does not conduct covert actions, and could undermine the agency's mission to deliver aid to the world's poor and vulnerable - an effort that requires the trust and cooperation of foreign governments. ON THE BUSTLING STREETS OF HAVANA PEOPLE STILL TALK ABOUT ZUNZUNEO - A SOCIAL MEDIA NETWORK THAT EXPLODED IN POPULARITY. CUBAN SLANG FOR HUMMINGBIRD � IT EVOKED THE IMAGE OF TWITTER AND HAD TENS OF THOUSANDS OF CELL PHONE USERS. "You would log on and write 140 characters. It was free of charge." BUT WHAT GUERRA DIDN'T KNOW WAS THAT ZUNZUNEO WAS PART OF A U.S. PLAN DESIGNED TO UNDERMINE THE GOVERNMENT OF PRESIDENT RAUL CASTRO�. AND HIS BROTHER FIDEL. AP's INVESTIGATION SHOW THE ORGANIZATION BEHIND THIS WAS THE UNITED STATES AGENCY FOR INTERNATIONAL DEVELOPMENT, A FEDERAL AGENCY BEST KNOWN FOR OVERSEEING BILLIONS OF DOLLARS IN U.S .HUMANITARIAN AID; WHICH ALSO HAS A MANDATE TO SPREAD DEMOCRACY. SOT: Nats - Reporter: Was this a covert plan?" LATER, A US AID SPOKESMAN TOLD AP "NOTHING ABOUT USAID'S CUBA PROGRAMS IS CLASSIFIED OR COVERT IN ANY WAY. WE CARRY OUT PROGRAMS IN A DISCREET MANNER TO HELP ENSURE THE SAFETY OF ALL THOSE INVOLVED"
THE PROGRAM CAME TO LIFE WHEN U.S.A.I.D CONTRACTOR OBTAINED HALF-A-MILLION CELL PHONE NUMBERS ON THE STATE-OWNED MOBILE NETWORK. THE CONTRACTOR, CREATIVE ASSOCIATES, BASED IN WASHINGTON DC, WAS PAID BY USAID TO HATCH A PLAN TO SEND TEXT MESSAGES TO CUBANS' CELL PHONE OWNERS. INITIALLY THEY SENT MESSAGES ABOUT TOPICS LIKE THE WEATHER, SOCCER AND MUSIC - TO BUILD AN AUDIENCE AND SO AS NOT TO ALERT THE CUBAN GOVERNMENT . LATER THEY PLANNED TO PUSH MESSAGES WHICH THEY HOPED WOULD ENCOURAGE DISSENT . ONE U.S.A.I.D DOCUMENT SAID THE AIM WAS TO "RENEGOTIATE THE BALANCE OF POWER BETWEEN THE STATE AND SOCIETY." 'THERE WILL BE ABSOLUTELY NO MENTION OF UNITED STATES GOVERNMENT INVOLVEMENT', READS ONE INTERNAL MEMO OBTAINED BY THE A-P.
"They didn't want anyone to know what they were up to"
FORMER CIA ANALYST FULTON ARMSTRONG WAS WORKING FOR THE SENATE FOREIGN RELATIONS COMMITTEE AT THE TIME. HE SAID TENSIONS BETWEEN CONGRESS AND U.S.A.I.D OVER WHAT APPEARED TO BE CLANDESTINE OPERATIONS STARTED BEFORE THE ZUN-ZUNEO PROJECT WAS LAUNCHED. "We were told we couldn't even be told in broad terms what was happening, because quote, people will die"
U.S.A.I.D SAID IN A STATEMENT THAT IT IS "PROUD OF ITS WORK IN CUBA TO PROVIDE BASIC HUMANITARIAN ASSISTANCE, PROMOTE HUMAN RIGHTS AND FUNDAMENTAL FREEDOMS, AND TO HELP INFORMATION FLOW MORE FREELY TO THE CUBAN PEOPLE," WHOM IT SAID HAVE LIVED UNDER AN AUTHORITARIAN REGIME" FOR FIFTY YEARS. THE AGENCY SAID ITS WORK WAS FOUND TO BE "CONSISTENT.WITH U.S. LAW." THE FIRST OPPORTUNITY FOR THE ZUN-ZUNEO TEAM TO TEST THE BLAST MESSAGES CAME IN SEPTEMBER OF 2009 - WHEN THOUSANDS OF YOUNG PEOPLE GATHERED FOR A CONCERT BY LATIN STAR JUANES IN REVOLUTION PLAZA IN HAVANA. IN THE WEEKS LEADING UP TO THE CONCERT - ZUN-ZUNEO SENT OUT HALF A MILLION MESSAGES TO SEE IF CUBAN OFFICIALS REACTED. OVERSEAS FRONT COMPANIES, FINANCED FROM A BANK IN THE CAYMAN ISLANDS, WERE SET UP TO PREVENT CUBAN AUTHORITIES FROM TRACING THE REAL SOURCE OF THE MESSAGES. SOUNDBITE: (English) Fulton Armstrong, Former Senate Foreign Relations Committee Analyst: "it's a really sad story - when you have bureaucrats with some political intervention going around running operations for which there's no oversight, no transparency." THE PLAN NEVER GOT TO THE POINT WHERE ANY MESSAGES WERE SENT TO SPARK dissent AGAINST THE CUBAN GOVERNMENT. IN 2012 THE TEXTING SERVICE TOPPED ABRUPTLY WHEN USAID SAID THE FUNDING ENDED. Damn! I was on the service for so long and never realized what it really was?" GUERRA WASN'T THE ONLY ONE. UNTIL NOW FEW KNEW ZUN-ZUNEO'S REAL PURPOSE. FOR YOUNG CUBANS ITS DISAPPEARANCE WAS AS MYSTERIOUS AS ITS ORIGINS. 11. Various exteriors of offices for US Agency for International Development in Washington, D.C.
13. Wide of building in Tbilisi, Georgia where USAID boxes are being loaded and sorted during conflict with Russia in 2008. 15. Graphic showing USAID logo with statement to AP: "Nothing about USAID's Cuba programs is classified or covert in any way. We carry out programs in a discreet manner to help ensure the safety of all those involved." 20. Wide shot of sign for Creative Associates offices in Washington, D.C.
24. Graphic reading: "renegotiate the balance of power between the state and society." 25. Graphic showing quote from Mobile Accord ZunZuneo document reading: "There will be no mention of United States government involvement"
30. Graphic from USAID statement reading: "Proud of its work in Cuba to provide basic humanitarian assistance, promote human rights and fundamental freedoms, and to help information flow more freely to the Cuban people"
39. Shot of Cuban using cell phone in car. 41. Closing shot of Cuban sitting on Malecon in Havana. The business manager of Latin pop singer Juanes said the "Peace Without Borders" concert will go on as planned in Havana despite threatening messages the singer received recently on his Twitter account. This record shop manager says he's opposed to the Havana concert but thinks some Cuban extremists are overreacting. Juanes -- a 17-time Latin Grammy winner, who is from Colombia, is known for his social activism. The U.S. government masterminded the creation of a "Cuban Twitter" - a communications network designed to undermine the communist government in Cuba, built with secret shell companies and financed through foreign banks, The Associated Press has learned. The project, which lasted more than two years and drew tens of thousands of subscribers, sought to evade Cuba's stranglehold on the Internet with a primitive social media platform. First, the network would build a Cuban audience, mostly young people; then, the plan was to push them toward dissent. It is unclear whether the scheme was legal under U.S. law, which requires written authorization of covert action by the president and congressional notification. Officials at USAID would not say who had approved the program or whether the White House was aware of it. The Cuban government declined a request for comment. On the bustling streets of Havana people still talk about ZunZuneo, a social media network that exploded in popularity. Cuban slang for hummingbird, it evoked the image of Twitter and had tens of thousands of cell phone users. Ernesto Guerra, a former ZunZuneo was one. "It was a very noble service," Guerra said. "You would log on and you could write 140 characters and hit send. It was free of charge." His friend, Saimi Reyes, another user, said, "sometimes I would wonder where this is from, where does the money come from because all this for nothing wasn't possible." But what they didn't know was that ZunZuneo was part of a US plan designed to undermine the regime of President Raul Castro and his brother Fidel. The project was led by USAID manager Joe McSpedon. He refused to talk to AP when asked about the secret plan. A USAID spokesman told AP "nothing about USAID's Cuba programmes is classified or covert in any way. We carry out programmes in a discreet manner to help ensure the safety of all those involved." One USAID document said the aim was to "renegotiate the balance of power between the state and society." 'There will be absolutely no mention of United States government involvement' reads one, according to a 2010 memo from Mobile Accord Incorporated, one of the project's creators. "They were protecting not just the legitimate things, the identities of people and all that, they didn't want anyone to know what they were up to," said former CIA analyst Fulton Armstrong, who was working for the Senate Foreign Relations Committee at the time. He said tensions between Congress and USAID over what appeared to be clandestine operations began after the 2009 arrest in Cuba of American contractor Alan Gross. Gross was convicted for his activities of travelling repeatedly to the country on a separate, clandestine USAID mission to expand internet access using sensitive technology only governments use. Armstrong said "it's true that every agency of the US government, including unclassified programmes, want to protect certain details of who they're working with and all of that. But this was far beyond. USAID said in a statement that it is "proud of its work in Cuba to provide basic humanitarian assistance, promote human rights and fundamental freedoms, and to help information flow more freely to the Cuban people" whom it said have lived under an authoritarian regime for fifty years. The agency said its work was found to be "consistent with US law." The first opportunity for the ZunZuneo team to test what they called "blast messages" came in September of 2009 when thousands of young people gathered in central Havana for a concert by the Latin singing star Juanes. In the weeks leading up to the show, ZunZuneo sent out half a million messages to see how Cuban officials reacted. The plan never got to the point where any messages were sent to spark dissent. In 2012 the texting service stopped abruptly. USAID said the funding ended. Ernesto Guerra said: "If tomorrow we discover that ZunZuneo was part of USAID or some other similar project, my first reaction would be, damn! I was on the service for so long and never realised what it really was"
Until now few knew ZunZuneo's real purpose. For young Cubans its disappearance was as mysterious as its origins. "It was a very noble service. You would log on and you could write 140 characters and hit send. It was free of charge." "Sometimes I would wonder where this is from, where does the money come from? Because all this for nothing wasn't possible." UPSOUND Reporter: "Was this a covert operation?" "They were protecting not just the legitimate things, identity of people involved and all of that. They didn't want anybody to know what they were up to." 25. STILL provided by the Gross family shows Alan and Judy Gross. 26. November 27 2012 STILL provided by US lawyer James L. Berenthal showing jailed American Alan Gross poses for a photo during a visit by Rabbi Elie Abadie and Berenthal at Finlay military hospital in Havana, Cuba. "If tomorrow we discover that ZunZuneo was part of USAID or some other similar project, my first reaction would be, damn! I was on the service for so long and never realised what it really was?"